Four paragraphs above we wrote of looking for biblical truth in 'the whole canon of scriptures'—still a controversial Roman Catholic claim, even though such ecumenical translations as The Oxford Annotated Bible reflect the way the situation has changed since the sixteenth-century Reformation. Let us take up matters point by point. One can describe the biblical canon as a closed list of inspired books that provide in a fixed, written form an authoritative standard for Christian belief and practice. 'Canonization', the recognition of the sacred books, presupposes and goes beyond inspiration or the special guidance of the Holy Spirit in the actual composition of the scriptures. In the OT period inspired writings came into existence centuries before there was any question of a canon, be it a Jewish or Christian one. The exercise of the gift of inspiration preceded in time the later process of 'canonization'. In that process the inspired books were recognized as such by the post-apostolic Church. Catholics acknowledge in a decree from the Council of Trent (DH 1501—4; ND 210—13) a definitive act of recognition that clearly established the biblical canon. In solemnly defining the canon, Trent confirmed the decision of the fifteenth-century Council of Florence (DH 1334—5), which had been based on earlier teaching of popes and Church councils, as far back as the local Council of Laodicea (c. AD 365). Much earlier, as we saw in Ch. 1, second-century Christians such as Irenaeus upheld the enduring authority of the Jewish scriptures against Marcion and recognized as normative the four Gospels against Gnostic attempts to introduce new 'gospels'. Even that early, a canon or list of scriptures was beginning to take shape. In his Festal Epistle of 367, Athanasius of Alexandria eventually provided the first full list of the twenty-seven books of the NT. What principles guided bishops, councils, and theologians over the centuries when they recognized these books and not those (e.g. the Epistle of Barnabas and 1-2 Clement) as belonging to their closed list of inspired and sacred books? Apostolic origin, orthodoxy, and liturgical use seem to have governed Christian recognition of the inspired writings. First, there was the historical criterion of apostolic origin. The canonical writings came from the period of foundational revelation, which climaxed with the coming of Christ and the post-Pentecost activity of the first-century Church. Apostolic origin was often taken strictly, as if all the books which now constitute the NT canon were written by the apostles (the Twelve and St Paul) or by one of their close associates (e.g. Mark as Peter's collaborator or Luke as Paul's). In such terms the apostles authoritatively recognized the Jewish scriptures (which they inherited) and the new works (which they or their associates wrote for the emerging Christian communities). Nowadays such a strict version of apostolic origin no longer works. Very few scholars would agree, for example, that Paul wrote Hebrews or that Peter was the author of 2 Peter. Nevertheless, in a broader sense this first criterion still carries weight in distinguishing canonical from non-canonical writings. Only those works which witnessed to Christ prophetically (the Jewish scriptures) or apostolically (the firstcentury Christian scriptures) could enter the canon. These writings formed an inspired record from believers who experienced the foundational revelation that ended with the apostolic age. Only persons who shared in the events that climaxed with the coming of the Holy Spirit and the foundation of the Church were in a position to express through inspired scriptures their written testimony to those experiences. Such later writings as the Chalcedonian Definition, the works of Thomas Aquinas, or the documents of the Second Vatican Council can be true, even infallibly true. But they all belonged to the period of dependent revelation, could not as such witness to the experiences of the period of foundational revelation, and emerged at a time when the charism of biblical revelation had ceased. Seen in this way, the criterion of apostolic origin still works to accredit canonical writings. Second, there was the theological criterion of conformity to the essential message, 'the purity of the Gospel' (the Council of Trent), or 'the Catholic faith that comes to us from the apostles' (the First Eucharistic Prayer or Roman Canon). Since it failed to match adequately this test of orthodoxy, The Shepherd ofHermas, which in any case seems to date from the middle of the second century and so could not be of apostolic origin, was eventually excluded from the canon after enjoying canonical respect in Greek-speaking churches of the second and third century. The Book of Revelation, after widespread rejection by Greek-speaking Christians, who also doubted its apostolic authorship, came to take its place in the canon when its orthodox content was sufficiently recognized. To be sure, there was and is a certain circularity involved in this second criterion. Since certain writings fitted their understanding of Christian faith, believers judged them to be orthodox, accepted them into their canon, and then proceeded to use them to test orthodoxy Nevertheless, these scriptures which were truly written under the special guidance of the Holy Spirit never simply mirrored what the Church community actually was, but in fact challenged Christians by picturing what they should be. In calling believers and actually leading them to a truly transformed life, the scriptures established their orthodoxy by vindicating themselves in practice. Third, constant usage, particularly in public worship, also secured for inspired writings their place in the definitive canon of the Christian Bible. The 'law' of praying the scriptures supported the 'law' of believing them to belong in the canon of inspired scriptures. This process may resemble but is not identical with the 'canonization' of such classical authors as Cervantes, Dante, Goethe, Homer, Plato, and Shakespeare. In both cases readers more or less quickly came to acknowledge the permanent value of the given writings. Yet the two processes are not on a par. First, classics are drawn not just from the beginning of a given literature (e.g. Homer) but also from the later history of that literature (e.g. Plato, Shakespeare, and Goethe). The inspired books of the biblical canon all come from the origins of Christianity. The charism of biblical inspiration ceased with the age of foundational revelation; classics can appear at any stage in the story of a particular literature. Second, the beauty of their language and related literary qualities establish the classics of world literature. Their continuing relevance for belief and worship guided the recognition of the books of the Bible. Literary considerations played and play at best a secondary role. When the gifted and cultured Augustine of Hippo first encountered the scriptures of Christianity, he found them to be primitive and 'barbarous' writings (Confessions, 3: 5). Before leaving the question of the canon, we need to say something about its closed and authoritative nature. We wrote above of the canon as a 'closed list'. Since the charism of inspiration ended with the first century or foundational period of Christianity, there could be no later instances of inspired writings. The closed nature of the canon followed from the normative and closed nature of the apostolic age and its special charisms. Just as the members of the apostolic Church participated in the unique, once-and-for-all character of the coming of Christ, so too did their sacred writings, both those they produced themselves and those they took over from their Jewish forebears. The inspired books shared thus in the unrepeatable role of the apostles and their associates. Second, unless the canon is closed and not open to modification, it cannot function as a canon—that is, as a truly and fully normative standard for Christian belief, worship, and practice. Precisely as constituting a canon, these books, although they were frequently written to meet particular needs and serve particular occasions (e.g. most of the letters of St Paul), were and are, nevertheless, acknowledged as an adequate version of Christianity. Otherwise, they could hardly be an authoritative norm for Christian faith and life. The consequences of this position on the canon follow clearly. On the one hand, to exclude some writings and thus reduce the canon (as Marcion and others have done) would be to tamper with the richness of the Church's foundational record of God's self-communication, to minimize the diversity in the OT and NT experience and witness, and ultimately to challenge the divine fullness of Christ's person and work. On the other hand, to increase the canon by adding later writings, as the ancient Gnostics did with their new gospels and other writings, challenges the complete and unrepeatable quality of what Christ revealed and did—personally and through his apostolic witnesses. Concretely what are the canonical books of the Catholic Bible? The Oxford Annotated Bible prints, first, thirty-nine books of the OT, then seven books (plus sections of books) under the heading of the 'Apocryphal/Deuterocanonical' books (works composed or translated into Greek some time after 200 BC), and then the twenty-seven books of the NT. 'Deuterocanonical' is the Catholic name for those seven books (Tobit, Judith, Wisdom, Sirach or Ecclesiasticus, Baruch, and 1 and 2 Maccabees) plus further portions of other books, found in the Greek or Septuagint version of the OT but not in the canon of Hebrew scriptures that emerged in the second century AD. Protestants have normally called these writings the 'Apocrypha' ('hidden' or 'not genuine'), and often not included them in their Bibles. Some of the apocryphal/deuterocanonical works (e.g. Judith, Wisdom, and 2 Maccabees) were composed in Greek; others (e.g. Baruch and 1 Maccabees) were originally written in Hebrew but only the Greek translation is extant. Tobit was originally written in Hebrew or Aramaic, but apart from some fragments in those languages, only the Greek version remains. Composed in Hebrew before 180 BC, Sirach was rendered into Greek fifty years later; since 1900 two-thirds of the original Hebrew text has been recovered. When Catholics and Orthodox speak of the 'deuterocanonical' ('of the second canon') books of the Bible, they do not intend a negative judgement, as if these books were automatically less important or less inspired. The term refers rather to the fact that debates preceded their securing a permanent place in the canon. St Jerome, for instance, advocated excluding these books and following the Hebrew canon of scriptures. The Council of Laodicea likewise does not include the deuterocanonical books on its list of sacred writings. But fourth- and fifth-century documents from popes do so (see DH 179, 213; ND 201—3). 'Deuterocanonical' can also be seen to refer to the fact that the books in question were composed (or translated into Greek) at the end of the OT period: that is to say, after the composition of the other OT books. Catholic acceptance of the seven deuterocanonical books (and the further portions of other OT books) can be justified on the basis of the three criteria indicated above: apostolic origin, orthodox content, and liturgical usage. 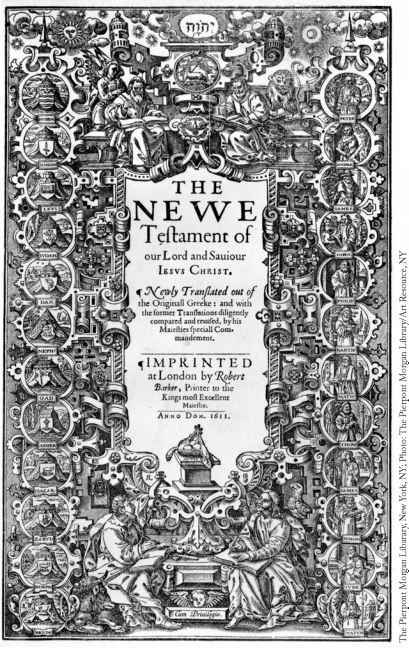 The NT authors, by regularly following the Septuagint version of the scriptures, show how in general that version was the primary Bible for first-century Christians. In particular, at times the NT authors echo or quote deuterocanonical books and make no distinction between the authority of those books and the other scriptures they inherited from their Jewish background. Second, down through the centuries Catholics have found the deuterocanonical books illuminating for their faith and practice: e.g. the moral instruction to be drawn from Sirach and Tobit. Third, Catholic worship has been enriched by the deuterocanonical works: for instance, the Prayer of Azariah incorporated into Daniel 3. From a Catholic point of view we are glad to see the deuterocanonical books included in such a major ecumenical work as The Oxford Annotated Bible, which follows Martin Luther's practice of printing them as a separate section between the OT and the NT writings. Specifically Catholic bibles, such as The New Jerusalem Bible, follow not only the content but also the ordering of the Septuagint—a tradition that represents a seldom-noted convergence with the Greek Orthodox Church. The Greek Orthodox go even further than most Catholics by recognizing as inspired the entire text of the Septuagint, including those books that are translations from an original Hebrew or Aramaic. Finally, we examine the question of authority. Since authority is primarily invested in persons, the authority of the canonical scriptures for life and practice derives from God, supremely revealed in Jesus Christ. Thus the normative quality of the scriptures reaches back through the authority of the apostolic tradition to Christ himself. These inspired writings, in recording and interpreting for all future generations the experiences of the Jewish people, of the apostolic leaders, and of all those who shared directly in the events of foundational revelation, speak with an authoritative voice because they express the prophetic and apostolic witness that was ultimately legitimized by the person of Christ. Sometimes the authority of the scriptures is presented as self-authenticating. Over the centuries Christians have experienced the scriptures as a source of faith and life. The Bible has proved itself to be religiously effective and hence authoritative. Clearly there is much truth in this way of expressing the authority of the scriptures. Nevertheless, one must also point beyond the human experience of the biblical text to the Holy Spirit, the personal authority who has made that experience possible. The divine authority that stands behind the Bible must not be isolated from the personal faith of those who freely open themselves to the scriptures and expect to find in them light and life. The biblical witness questions its readers, points their way to the truth, and enables them to live in fidelity to the foundational self-communication of God in Christ. It is not that the Bible will clearly provide authoritative answers to all new questions that arise in the life of the world and the Church. But attentive openness to the biblical witness will provide the setting in which answers can emerge. 72 The basic documents for this chapter are Vatican II's Dogmatic Constitution on Divine Revelation (Dei Verbum ) of 1965 and the Pontifical Biblical Commission's The Interpretation of the Bible in the Church of 1993 (many different editions of both documents are available). The Oxford Companion to Christian Thought contains relevant articles on 'Apocrypha, Jewish'; 'Bible, Its Authority and Interpretation'; 'Faith'; 'New Testament'; 'Old Testament'; 'Revelation'; 'Tradition'; and 'Truth'. The 1997 (3rd) edition of The Oxford Dictionary of the Christian Church contains relevant articles on 'Apocrypha'; 'Bible'; 'Canon of Scripture'; 'Faith'; 'Revelation'; and 'Tradition'. In R. E. Brown et al . (eds. ), The New Jerome Biblical Commentary (Englewood Cliffs, NJ: Prentice Hall, 1990), one finds two helpful articles: R. E. Brown and R. F. Collins, 'Canonicit/ (pp. 1034—54), and R. F. Collins, 'Inspiration' (pp. 1023—33). All three reference books provide further bibliography along with each of these articles. The first disciples of Jesus faced the great question of early Christianity: how should his life, death, and resurrection (together with the outpouring of the Holy Spirit) revise their inherited Jewish faith in one God? After experiencing the forgiveness of sins, the fresh life given with baptism, the celebration of the Eucharist within a new community, the gifts of the Holy Spirit, and a vivid hope of sharing in Jesus' resurrection from the dead, what were they now to believe and think of God? One might use modern language to ask: why, how, when, and where did this new question about God arise for the disciples of Jesus? The short answer is: with, in, and through the resurrection of the crucified Jesus and the outpouring of the Holy Spirit. The long answer is this chapter on the doctrine of the tripersonal God and the doctrine of Christ. Even more than in the chapters that follow, what is distinctively Catholic about these doctrines is in no way alleged to be uniquely Catholic.